My Syos mouthpiece gives me many possibilities to express my ideas, especially colors of sounds and volume range. Full of warmth and power. Thanks Syos! Musician /Saxophone player /Composer /Arranger /Art Producer Tomoaki Baba was born in 1992 in Sapporo, Japan and began playing saxophone when he was 7 years old. He attended the renowned Berklee 5-week summer program in 2007, 2008, 2009 as a full-scholarship student. He was selected for Berklee Jazz workshop directed by Terri Lyne Carrington in 2010. In 2011, Tomoaki was the recipient of a full-scholarship to the Berklee College of Music. After graduating, Tomoaki moved to New York City and has become an active sideman and leader, performing with artists like Terence Blanchard, Dayna Stephens, Terri Lyne Carrington, Jamie Callum, Sean Jones, and Darren Barrett. Tomoaki is passionate about combining his music with other art forms, particularly painting, fashion, architecture. In recent years, he has served as an events producer and on the creative team for the art magazine Metropolitan Society. 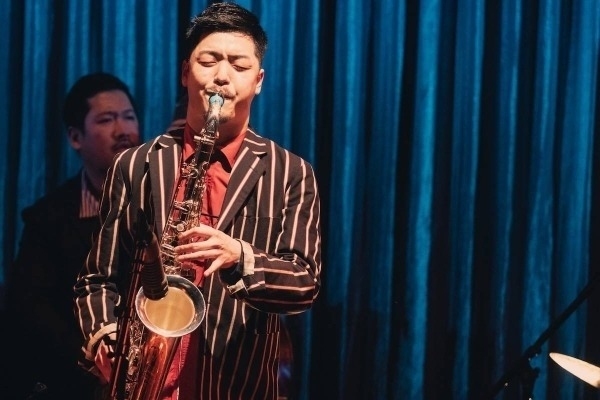 In addition to his work in New York City, Baba is an active and noted performer in Japan, where he serves as a composer and saxophonist for J-Squad. Baba also produced the ”Jazz Summit Tokyo Summer Festival 2015," and collaborated with the fashion brand "TAKEO KIKUCHI" to create the stage clothing for J-Squad.